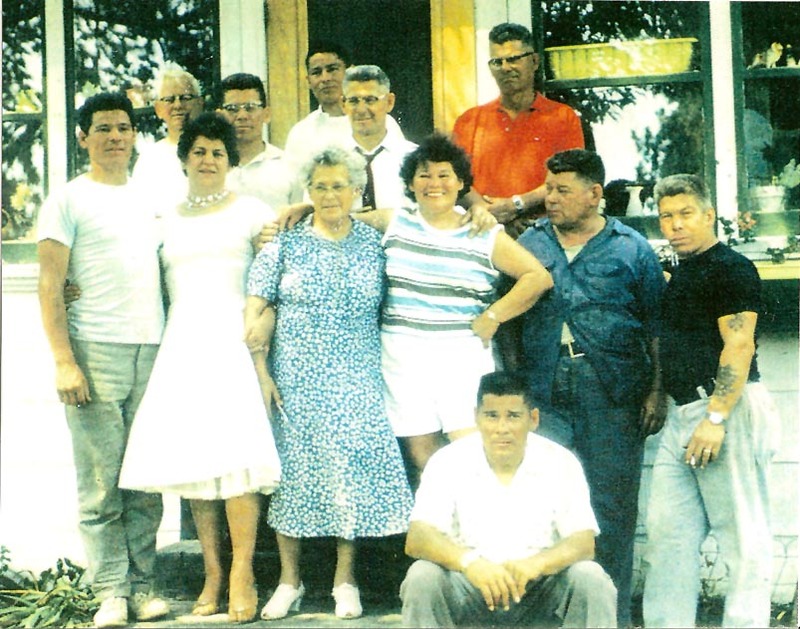 The photograph below shows Grandma Elizabeth Herne Cook and her family probably in the 1960s. It appears to have been taken after photo II. Below the image are labels corresponding with the black and white copy found at the bottom. If anyone has any additional information regarding the photograph, including possible corrections to the labeling, please contact me. 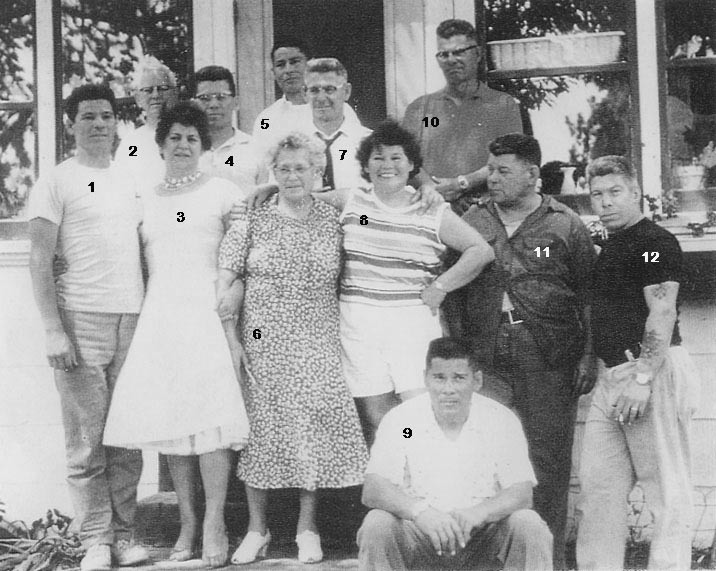 Thanks to cousin Elaine Cook Roderick for the copy of the image and help with the identification of our family members.